Patsy Ann Cook, age 69 of Oklahoma City, departed this life Tuesday, January 22nd, 2019 at her home. She was born January 20th, 1950 in Holdenville, OK to the late John Cudjo and Lucille Barkus Sutton. She was a graduate of Wewoka High School and later received an associates degree from Okmulgee Tech. She worked many years for The Oklahoma Regents for Higher Education until her retirement. Patsy was of the Baptist faith. She loved listening to music and dancing. Her all time favorite was going to family events, laughing, visiting with her family and friends . Her hobbies were crocheting, sewing, surfing the internet , playing candy crush and working Sodoku and staying busy. Her children and grandchildren were everything to her. Preceding Patsy in death are her parents. 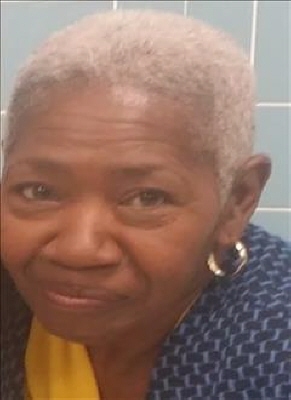 Those left to cherish Patsy memories are her husband, Larry Liddell Sr., children, LaSha' Cook of Oklahoma City and Larry Liddell Jr. and wife Renee of Oklahoma City; four grandchildren, Quorion Cooper, Janiyah Cook, Olivia Liddell, Andrew Liddell and a host of other relatives and friends. Funeral service will be 11:00 AM Thursday, January 31, 2019 at Stout-Phillips Funeral Home Chapel, with Rev. Gilbert Reese officiating and burial to follow at Westwood Cemetery. To send flowers or a remembrance gift to the family of Patsy Cook, please visit our Tribute Store. "Email Address" would like to share the life celebration of Patsy Cook. Click on the "link" to go to share a favorite memory or leave a condolence message for the family.